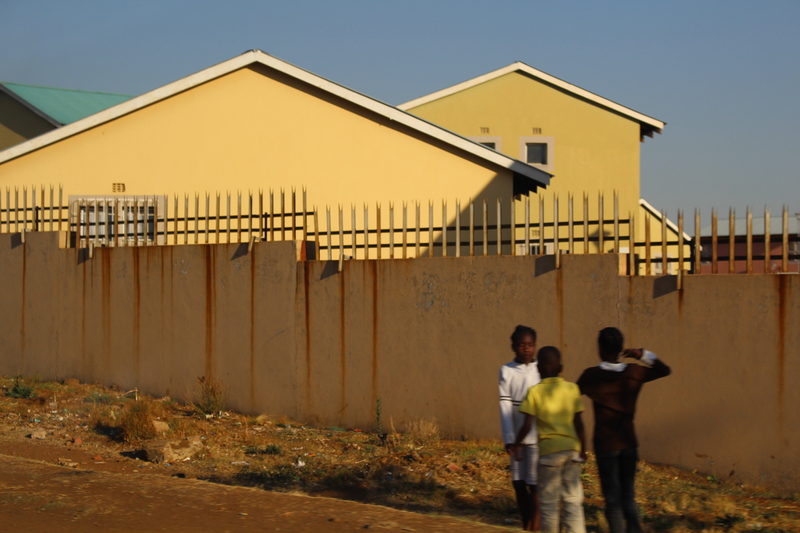 Weekly Photo Challenge: Boundaries in Soweto | Oh, the Places We See . . . Nowhere have boundaries seemed more present, at least in our limited travels through the world, than in the town of Soweto, South Africa. 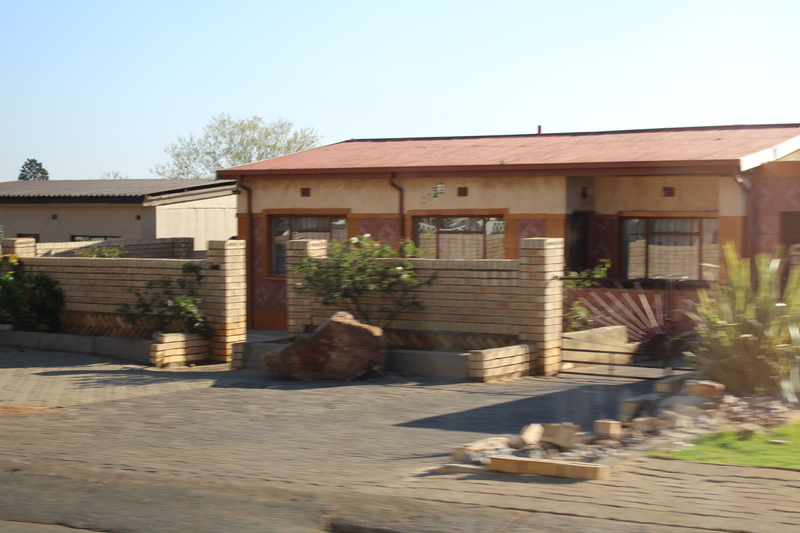 As we rode in a van with our guide on a Sunday afternoon in Soweto searching for the Nelson Mandela National Museum (better known as the Mandela House), we couldn’t help but notice that almost all dwellings on the side streets had high fences or walls — for protection and privacy, we presume. We also saw an area of tin roof homes bounded by green toilets and fences where laundry dried in the South African sun. But we knew our boundaries and stayed in the van while the driver made a U-turn. 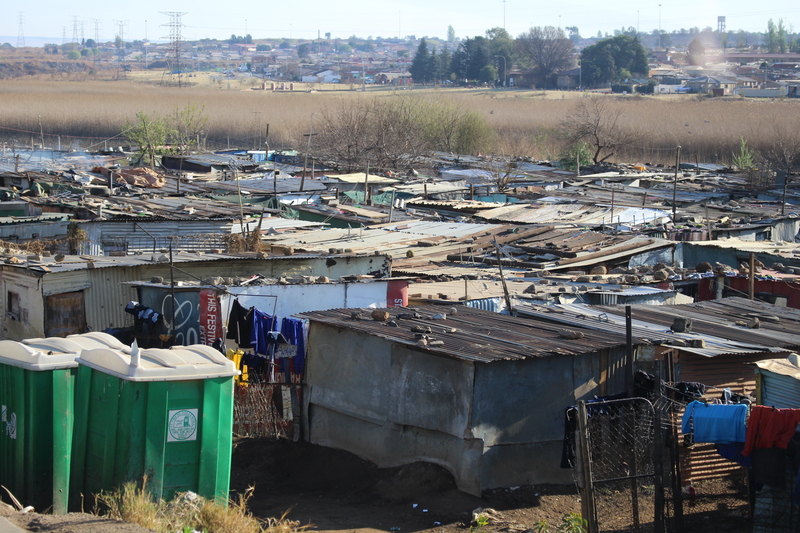 Huge area of tin roof dwellings bounded by toilets on one side and fences on another: Soweto, South Africa. For more entries in this photo challenge — Weekly Photo Challenge: Boundaries — click here. 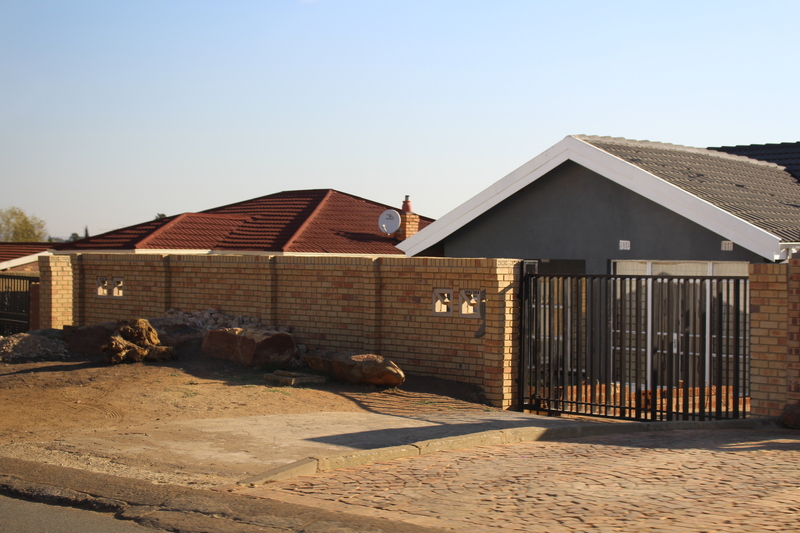 This entry was posted in South Africa, Travel, Weekly Photo Challenge and tagged boundaries, fences, Mandela House, Nelson Mandela, South Africa, Soweto, Weekly Photo Challenge: Boundaries. Bookmark the permalink. If only politics could be on the side, then travel would be glorious. But because we have to be careful of where we go and what we say, it becomes a bit sticky at times. Hopefully, all your travels are just the way you want them to be. We’ve had good luck so far, and hope to continue. More to come on Vietnam, Cambodia, and Thailand where we’ve just traveled and seen marvelous sites. Nice, I live in South Africa! I’d love to go back to Soweto especially if I could see those street vendors on a Sunday. I’ve decorated my bedroom with some of my purchases — fond memories of this town. 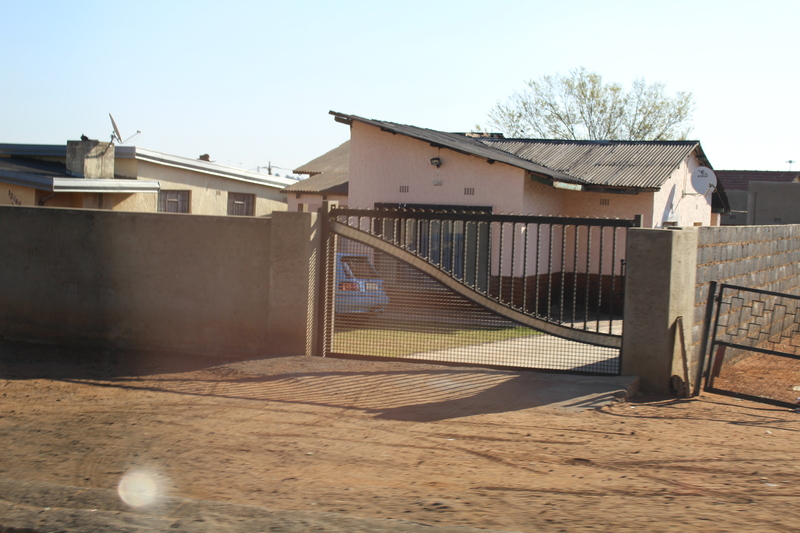 Most houses in all areas of South Africa have high walls and protective fences. Even with 8ft walls and electric fencing plus burglar alarms with armed response, we were still burgled four times and had two cars stolen. Security is really big business there. As for the shanty towns, or squatter camps as they are called, it seems that a fast as the government provides these poor people with subsidised housing, there’s a continuous influx from the rural areas to take their place. It’s an ongoing battle. Of course there are many black people now living in the affluent areas, and there are also white squatter camps which you probably didn’t see. Thanks for this wealth of information. Wish I had known some of it prior to posting. Squatter camps is a new term. Our guide may have told us some of this but I was way back in the back of the van trying to take pictures out of the little oval window. Not great visibility, as you can imagine. I was afraid that security was a huge problem, but it may not be resolved any time soon. Thanks for taking a look. Yes, I’m afraid you’re right about that. We lived there for 44 years and it seems to have gotten steadily worse. Welcome to Johannesburg or SA, where the gap is tangible. It wasn’t hard to notice, but it didn’t make it any easier to take in. Thanks for the comment. We agree, the photos are sad, especially the last one of living conditions we’ve only seen in the movies. Travel brings much for us to see and “digest,” if only for just a little while — but the memories last forever.